It’s here! Pixel 2 and Pixel 2 XL hit shelves today in the U.S. Here’s a few things you can do with your Pixel 2, right out of the box. 1. Transfer your stuff from your old phone in less than 10 minutes—photos, videos, music, contacts, calendar events, apps, messages, and more. Just plug in the the cord and follow the simple instructions on the screen to make the switch. If you need help, there’s a team available 24/7 to talk you through it. 2. Say cheese! Pixel 2 has the highest-rated smartphone camera ever, with a DxOMark Mobile score of 98. Take brilliant photos in any light, and play around with new exposure controls and features like Smartburst, which takes a rapid-fire sequence of shots. Get motion photos with every shot. Pixel 2 also comes with incredible video stabilization, thanks to a combination of both optical and electronic image stabilization. 3. Focus. 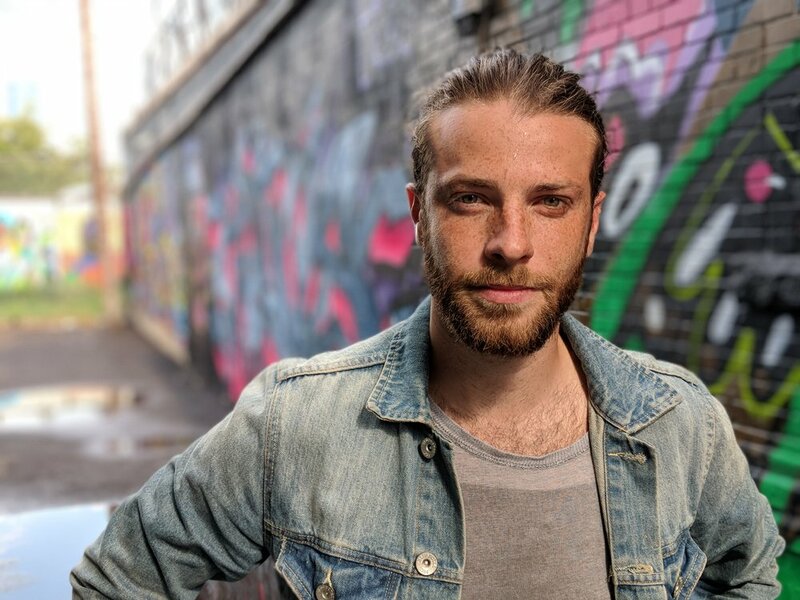 New portrait mode in the Pixel 2 front and rear cameras gives you crisp, beautiful portraits and selfies with a gorgeous background blur (on both Pixel 2 and Pixel 2 XL). For more on portrait mode, including some tips for how to take the best portraits, see this post. 4. Get unlimited storage for all your memories. All Pixel 2 users get free unlimited storage in the highest resolution for all of the photos and videos taken on your Pixel with Google Photos. 5. Search what you see with Google Lens in Google Photos. With this preview, just for Pixel 2 users, you can learn about the world around you and get things done. Save phone numbers and email addresses right to your contacts; learn more about landmarks, artwork, books, movies, music albums, and video games; or copy and share URLs from posters. 6. Just squeeze the sides of your phone, say “Ok Google,” or long press the Home button to call on your Google Assistant for help finding answers and getting things done. The Google Assistant understands you, so you don’t have to edit the text messages you dictate. Ask to play a song on Google Play Music, YouTube Music, or Spotify. Or control your phone by saying “turn on night light, “do not disturb” or “change my ringtone” and your Google Assistant will make it happen—no need to dig into settings. 7. Get big entertainment wherever you go. Pixel 2 comes with a razor-sharp display and dual front-facing stereo speakers for crystal-clear sound. It also delivers high quality audio through the new USB-C headphone port and through the updated, hi-fi Bluetooth support. With Fast Pair, you can quickly and easily set up compatible wireless headphones with just a tap. 8. See the important stuff at a glance. With Always-On-Display, you can see the time and notifications without waking up your phone. 9. Name that tune. On your Always-On-Display, the Now Playing feature will show you song and artist info for music playing around you. This works entirely on the device, so no audio is sent to Google. 10. Play well with others. Pixel is made to work seamlessly with your other Google devices. Say “Ok Google, play recommended videos on the TV” and your Assistant helps you keep watching on Chromecast without missing a beat. Or ask your Assistant on Google Home to “find my phone” to hear it ring and find its last location. We’re adding new features all the time, and as the rest of our hardware family hits stores this fall, your Pixel will work with those too.